I love the red accents in this piece. 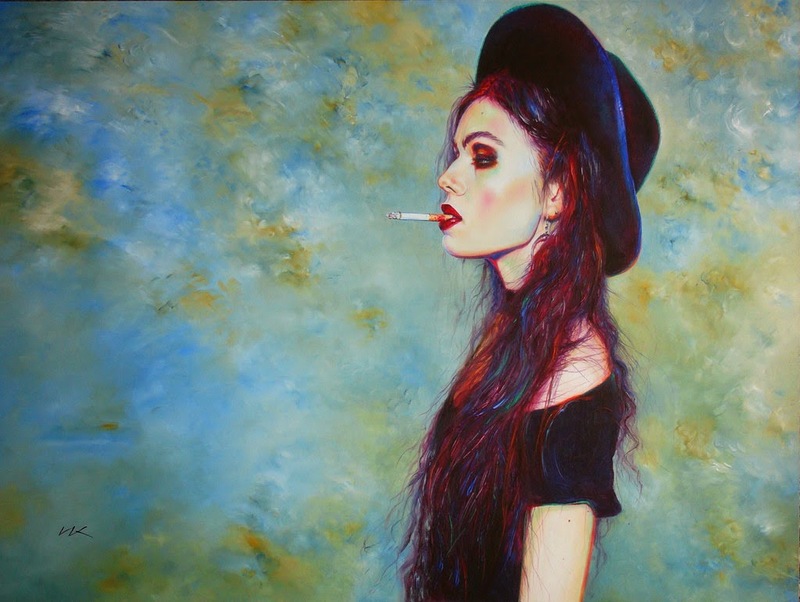 The sitter's expression; the angle she's facing; the cigarette sitting just on the edge of her lips. I love the detail of the lipstick stain on the cigarette. It's a commentary on how our new generation is so self-absorbed and aloof about everything. How we use things like clothes, and gadgets, drugs and cigarettes to numb what we feel. Where things are part of our express ourselves and we would rather have an identity even if it comes at the cost of our health. It also reminded me of a quote; "I'd rather die young. Cause' that way, I'd at least leave a pretty corpse."